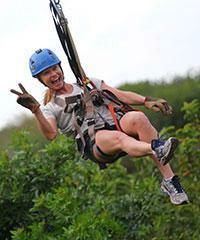 The Hawaii Zipline is all the Rage! 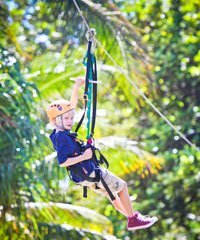 The Hawaii Zipline is such a new activity category that the industry itself can't yet quite even decide how to write its name! 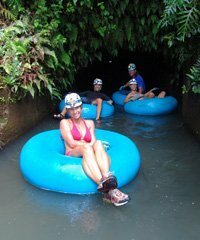 You will see it labeled zip lining in Hawaii, ziplining in Hawaii, zipline in Hawaii or just simply as Hawaii zip tours. 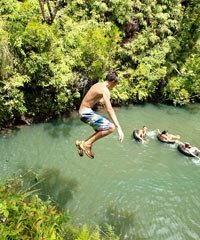 Regardless of the many spellings it may have there is no question that ziplines in Hawaii are the newest and biggest rage in the world of island activities and they have been building to achieve this status since the early 2000's. 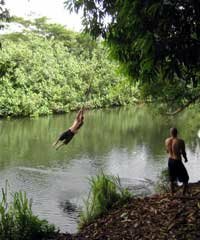 From the modest beginnings of the first zip line course in Hawaii (actually it was also the first zipline course in the United States) built in 2002 in the forest region of Kula on the island of Maui, zip lines in Hawaii have now been built on all the major islands and at last count there are over twenty courses. 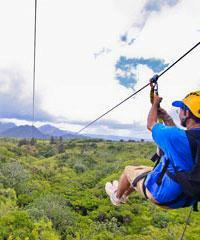 The sheer number of zip line tours in Hawaii is testimony in itself to the popularity of these enormously popular activities. 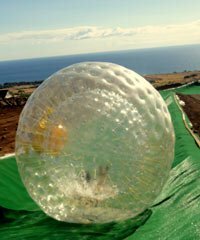 Zooming above the ground, often for great distances and at tremendous heights at speeds that can be up to 50 mph has proven to be a source of great adventure and excitement for many Hawaii visitor's. 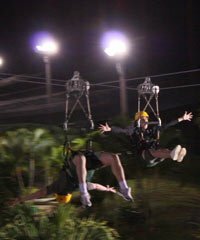 Oddly, you might think this type of activity would be solely in the domain of the younger generations of X-treme sport types but Hawaii zipline tours have turned out to be just as popular among more senior individuals as well. 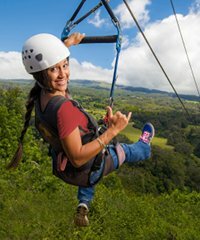 Every Hawaii Zipline Course is totally unique! 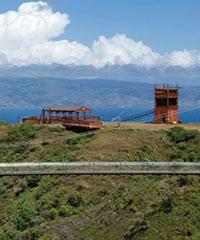 Some courses are extremely short while others can span thousands of feet in the air. 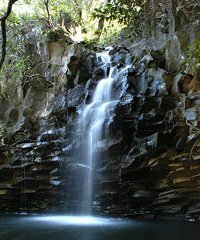 Some are fairly close to the ground below and others are hundreds of feet in the air traveling over gorges, waterfalls, streams and forest. 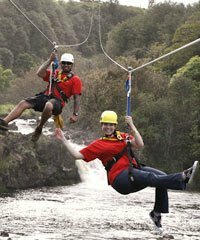 Some zipline harnesses are very simplistic and similar to a parachute harness and others are more like comfortable chairs that you relax back in and glide along. 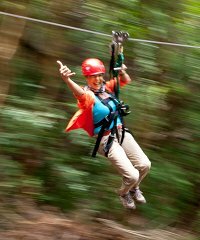 Some zipline courses are called 'canopy' courses and they travel from one platform mounted in a tree to another platform and leapfrog in this manner through giant forests. 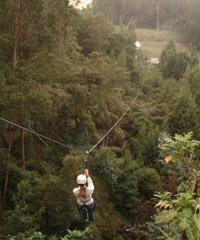 Other zipline courses travel from giant mounted platforms sunk into the earth to other similar platforms often thousands of feet away on the other side of a valley. A number of courses have 'double lines' where two participants can launch at the same time and race each other to the finish. 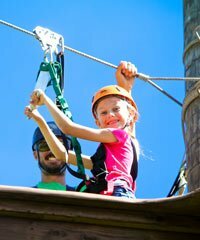 Variations of the zip line courses, called 'ropes courses' are also available and these are courses that are set up to encourage participants to master their fears of height and to work together with others on a team to succeed in a difficult physical challenge. 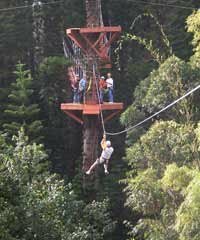 Participants will climb high up on rope platforms, navigate difficult rope bridges, experience huge rope swings and they will be dared to defy their own fears as they launch themselves toward the earth from great heights only to be caught in mid air by the sturdy ropes they are attached to. 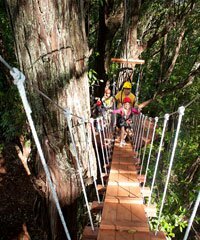 Many of these Hawaii zip line courses are so sophisticated that the actual courses themselves cost millions and millions of dollars to construct and are engineering marvels in their own right. 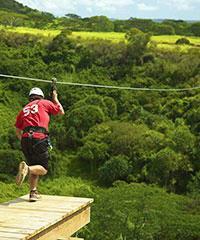 Deciding which would be the 'Best Hawaii Zipline' would be a hard call! 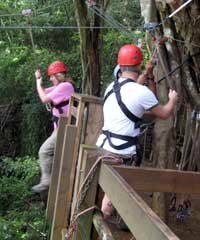 The Islands of Maui, Kauai, Oahu and the Big Island all have zip line courses and each island lends its own flavor to the zip line experience. 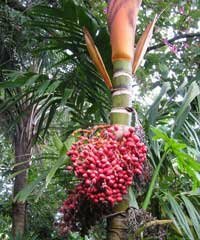 It would be very difficult to determine which island would offer the best zip lines in Hawaii because the zip lines on all islands are so premium. 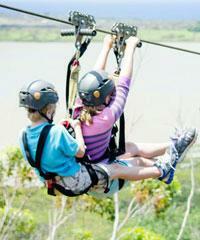 Kauai has zipline courses that span the island from Princeville to just outside of Poipu. 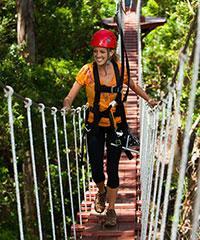 You will have choices between speedy 'big zip' type courses or canopy course. 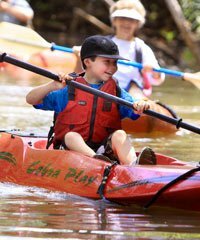 Jungles, rivers and streams will be your constant companion and some of the areas you will be allowed in to see are on private property that would not be available to you otherwise. 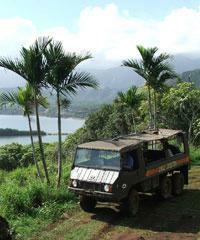 Maui has a great variety of courses ranging from large to small and from coastline to forest. 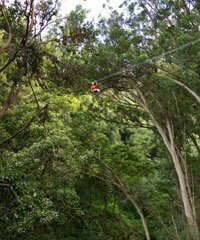 Though most Hawaii zipline courses will begin and end at the same spot one Maui course actually spans great distances and ends in a different region than where it started. 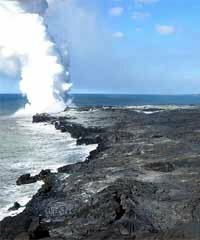 The Big Island of Hawaii has a large number of courses which are considered by many to be the most exciting of the courses available in Hawaii. 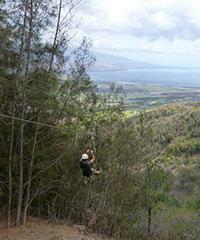 All of the Hawaii zips found on the Big Island are in areas on the island's windward coasts. 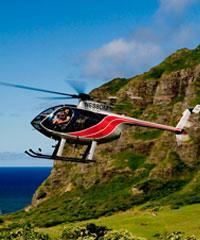 They fly over jungles, streams, waterfalls, botanical forest lands and ranch lands. 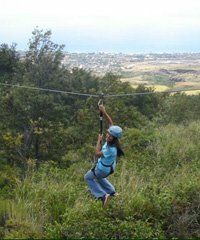 Oddly, the island of Oahu which features the largest number of Hawaii visitors has the smallest number of zipline courses but they are spectacular.